In 2014, The Tufts Center for the Study of Drug Development estimated the cost of bringing a drug to market to be $2.6 billion.1 With such escalating costs and drug pricing discussions at an all-time high, many companies are exploring ways to continue to innovate and bring novel drugs to patients while reducing the overall costs of drug development process. Enter… remote clinical trials. Sometimes known as digital or virtual trials, remote clinical trials are a distinct sign of the times we live in and the future we are marching toward. 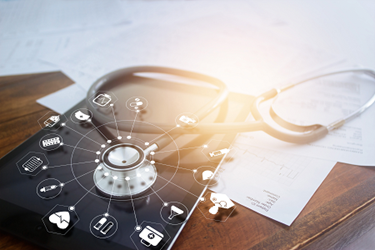 With the digital age as its guide and patient-centricity at its core, the remote clinical trial model aims to accomplish better results (and less costly ones) through a significantly reduced number of investigator sites, the use of digital apps and equipment, remote monitoring, and protocol requirements that center around the patients and their homes. But in addition to the patient-centric aspect and the competitive advantages that remote trials offer, such as efficiency and speed, do these trials also present cost saving opportunities, or can additional costs be expected? While virtually (no pun intended) every aspect of a clinical trial is impacted when going from a traditional to a remote model, in this article we will explore some of the main categories where we already see cost savings and potential cost challenges. Let’s first look at some of the main areas that offer opportunities for cost savings. With investigator fees responsible for about 40 to 60 percent of a total clinical trial budget, it is no surprise that when this cost category is impacted, it brings significant change to the bottom line. While various investigator fee subcategories are impacted due to the nature of remote trials, some of the top ones are derived from the actual number of investigator sites involved in these trials, costs for patient visits (procedures and staff costs), and other site costs (i.e., start-up fees, pharmacy fees, overhead costs, other administrative fees, etc.). For example, remote trials will not require what we sometimes refer to as the traditional brick-and-mortar setup of multiple study sites. Instead, by using technology to reach and engage the patient directly throughout the trial, remote clinical trials use fewer physical sites, requiring fewer investigators. Some trials may only have a few, or even just one central site coordinating patient involvement in the trial. Although site staff will still be required to a certain degree, the number of actual sites participating is significantly less than in traditional trials. The sheer reduction in the number of investigator sites is one of the biggest, if not the biggest, driver of cost savings when conducting remote clinical trials. Another example in this category is the reduction in patient visits and site costs. Remote clinical trials look to also streamline protocol visit procedures and requirements in addition to many of the procedures being conducted directly by the patient alone without the need for oversight by site staff. This has a direct impact on costs for site staff time and effort and overhead associated with such procedures. Additionally, with the elimination or at least significant decrease of traditional on-site patient visits, associated site fees costs that are currently covered by many sponsors are reduced, even for central coordinating sites participating. You can read a previous article on this specific topic here. Monitoring is another very costly aspect of clinical trials, with on-site monitoring making up around 25 to 30 percent of the overall cost of clinical trials.2 As a direct result of drastically reducing the number of investigator sites, traditional on-site monitoring and management costs are also reduced. Additionally, remote site monitoring is likely used, which further reduces the need for site monitors and all the travel, hourly rates, and expenses associated with this type of personnel. Patient travel is a cost that is significantly reduced with remote trials due to the simple fact that most of the protocol visits take place in or around the patient’s home. This is not only helpful to the bottom line but also for the convenience of the patient and is especially helpful for patient populations for whom travel is challenging. While not a cost savings at the level of the previous categories, patient recruitment and retention are areas where many sponsors may see some cost savings, especially if they have not already been utilizing digital means for these activities in their traditional trials. Social media and other digital efforts drive patient recruitment and retention strategies in remote clinical trials and have innately lower investment costs. Retention is also expected to be greater for these trials, as many of the barriers to patient participation, such as travel to the investigator site, are eliminated. This in turn reduces the cost of having to recruit new patients to the trial, although this piece is still something to keep an eye on. The first area to consider when thinking about potential cost challenges in remote trials is the investment in a technology platform to harmonize all the different digital efforts in the trial. From patient wearables and apps, to data from local labs and data at central coordinating sites, there is a fundamental need to make sure all the data is harmonized for analysis, monitoring, cleaning, and eventual submission. While likely one of the biggest costs associated with remote trials, it is imperative that the right platform and partner are used to pull everything together. The ROI on this expenditure will only be seen over time and with the scaling of these types of trials for the sponsoring company. One forgotten area of cost is the equipment the patients will use for remote trials. With a traditional trial, sponsors are accustomed to having investigator sites that own standard equipment for standard visit procedures. This is different for remote clinical trials, as the patients are essentially performing most of the study visit procedures themselves in their homes. When the strategy is laid out for these trials, the costs for any equipment, app, wearable, service, or other items that will be needed at or near the patient’s home in order to accomplish the protocol requirements must be considered. As these trials are relatively new to our industry, there is a natural learning curve and thus associated costs with it. For example, there may be a need for additional training of all stakeholders, additional personnel time across the different vendors, sponsors, coordinating sites, patients and ancillary staff, or even the additional costs associated with a major failure of an early clinical trial in this space. This is a cost that companies considering embracing this model need to anticipate, at least for the near future. Although sometimes forgotten in the clinical development stage, from a commercial perspective, it is very important that physicians remain engaged throughout the drug development process, even within remote clinical trials where the number of investigator sites and, as a result, the number of physicians are drastically reduced. If physicians do not feel involved throughout the clinical development process, they may not feel comfortable enough with what they know about the drug itself to recommend it to their patients once the drug goes to market.3 This is something that, if not well-planned by study sponsors, may have a negative budgetary impact post-approval. Although the mentioned cost observations showcase the current state of remote clinical trials, it is important to note that such trials are relatively new to our industry. Lessons are being learned and things are constantly changing, as would be expected in our digital age. These trials should not be thought of as something that will necessarily decrease costs in and of themselves, simply because remote clinical trials should cost less. Rather, it is the scaling of such trials over time that has the greatest potential for cost savings and opportunities. Lastly, due to the fluidity of the topic, there is a good chance that new costs, of which we are not yet aware, may arise. But I guess that is the beauty of diving into an exciting and new way of doing something – there is great potential for risks and amazing rewards with it. Débora S. Araujo has over a decade of experience in the pharmaceutical industry working and consulting for Fortune 500 companies. Her special focus has been on the business aspects of clinical trials including: clinical contracting and financial management, clinical outsourcing and CRO/vendor management, global clinical trial budgeting and forecasting, clinical financial analytics and metrics/KPIs, site budget development and negotiations, fair market value, and global investigator site payments. Araujo’s passion for driving practical change in the industry led her to launch ClinBiz, an online platform where clinical research professionals can stay connected and updated on the latest topics, trends and technologies related to the business aspects of clinical trials.